Where do I find a Good Home Inspector? Here in Atlanta, Georgia the housing market is really booming right now. There are people that are from here that are relocating for various reasons and the same goes for those that are moving from different cities and states. With that being said, licensed realtors are flooding the market like never before. It seems that everyone is going after a real estate license and for rightful reasons. Some are getting into this field to simply to work with clients to help them purchase or sell homes. Some are more focused on getting access to buy homes wholesale, fix them up and put them right back on the market to sell for profit and some are selectively purchasing homes to buy, fix up and rent out. In any case some of the most important questions that you should ask yourself are, where do I find a good home inspector? What are the qualities that I should look for in a home inspector? How much should I pay for a home inspection? Should I use my realtors’ preferred home inspector? A home inspection is a non exhaustive, visual examination of the condition of a home at the time it was inspected. So, when you get a home inspection it is important to hire someone that knows what to look for. You must remember that an inspection is for the condition of a home at the time of the inspection. For example, your home is inspected today and no leaks were reported and two weeks later it rains and now there’s water dripping from the ceiling. Guess what? The home inspector is not liable. That’s why it’s very important that you find the right home inspector. You, not your realtor! In most cases a realtor wants you to use someone that they are familiar with. Why? Because in the real estate industry home inspectors are known as deal killers and an agent don’t want to risk an unknown party killing the deal. Well that works out for the real estate agent and their “preferred home inspector”. But, what about you? Buying a home is the biggest single purchase most people will make in their lifetime. The first thing you should do is go online and look around and pick 4 or 5 home inspectors to call. Ask about proper certification and licenses. The most important thing is to make sure they have had live and professional home inspection training. Most home inspectors will tell you that they are a member of ASHI or InterNACHI and that’s good but that won’t make a good home inspector. If you have called and spoken to a number of home inspectors and you don’t feel comfortable, then ask your realtor. Don’t let your realtor convince you to use their preferred home inspector without trying to find one on your own first. Home inspectors may offer a warranty with their inspections, but really that’s only a gimmick to charge you more money. If you are selling your home a warranty does you no good and if you are buying a home, you should already have certain warranties. Besides, how can you warranty something that you didn’t do the work on. 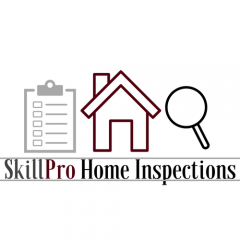 Your home inspector should be service oriented and knowledgeable of their craft. A standard home inspection should be between $300 – $500, depending on the square footage of the home. So, where do you find a home inspector? There are plenty of them around, so try to find one on your own before looking elsewhere. What qualities should you look for in a home inspector? Make sure your home inspector is first service oriented, because they will make sure they go above and beyond to give you the best home inspection experience possible.